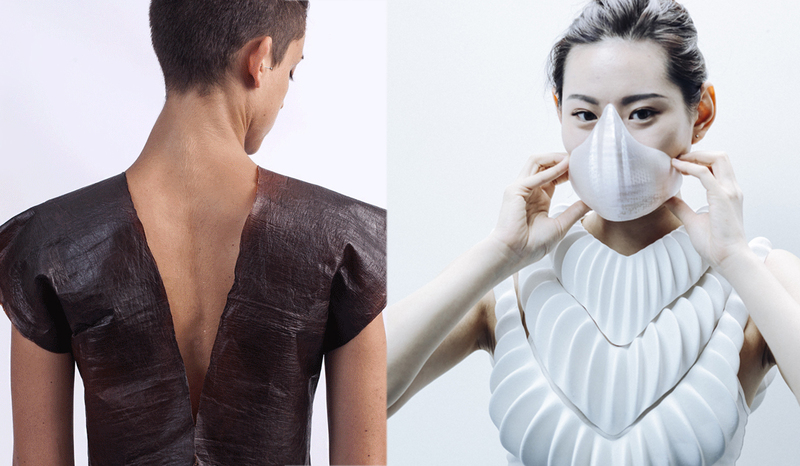 RESHAPE announced the winners of the Reshape18| sensing materialities competition. This year the Reshape competition was divided into two categories: Wearable technology and Product design. More than 40 projects from 16 countries were submitted for the prize consideration. The jury members selected 10 designers for each category that had the opportunity to pitch them proposal at the RESHAPE FORUM, held in Barcelona from the 16-18th of October 2018. During the RESHAPE FORUM, Aldo Sollazzo, Director of Noumena and Reshape announced the winners of Reshape18| sensing materialities; Award sponsored by Luxottica. The 1st Prize goes to “Amphibio” for its significant experimental approach, establishing interconnections between users, environment and data. Project designed by Jun Kamei. The 2nd Prize goes to “Oru” designed by Oran Sheinman. The 3rd Prize goes to “Yuvia” designer by Fernanda Cabello, María Ignacia Alcaíno, Anaïs Weil. “Quantic cyrle” – Pol Guixe, Oscar Velasco, Cristina Prim, Oscar Chic. The 3rd Prize goes to “BioVer” designers by Jessica Dias, Thora Hafdis Arnardottir, Agustina Ros and Nikos Argyros. “Odradek” – Patricia Wu Wu. “ A zero waste fashion” – Nuria Costa, Ane Castro.